Ismael Bello, 45, of Caledonia, passed away suddenly, March, 13. He was born Nov. 23, 1971 in Mexico City, Mexico, son of Genaro and Maria (Morales) Bello. He married Maria J. Jaramillo on Aug. 5, 1997. Ismael attended Saint James Church in Belvidere. He had a love for animals, which included his sheep, horse, and chickens. Most of all, he adored his children, and was always working hard to provide for them. Ismael is loved and missed by his children, Brian Bello, Brianna Bello, and Johana Bello; father, Genaro Bello; siblings, Genaro Bello, Francisco Bello, Mariana (Jorge Paredes) Bello, Micaela (Alfonso Anaya) Bello, Adela (Jaime Chavez) Bello, and Josefina (Vicente Fierro) Bello; and numerous nieces and nephews. He was preceded in death by his mother, and his wife, Maria. Private services were held. Cremation rites have been accorded. 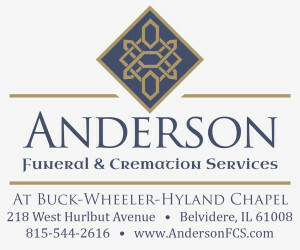 To light a candle or share a condolence, please visit www.AndersonFCS.com.